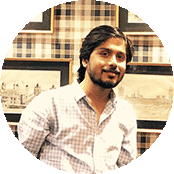 An AI-powered recruitment app for seamless and effortless hiring. 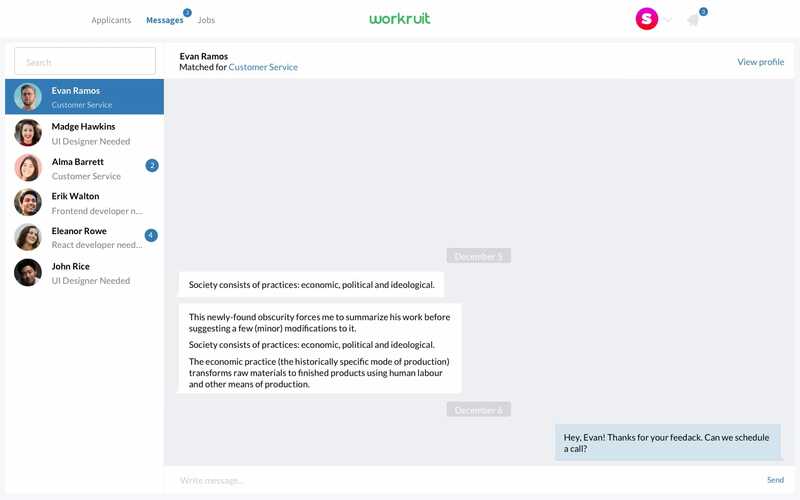 With Workruit, you can bid adieu to outdated and tedious manual screening process. 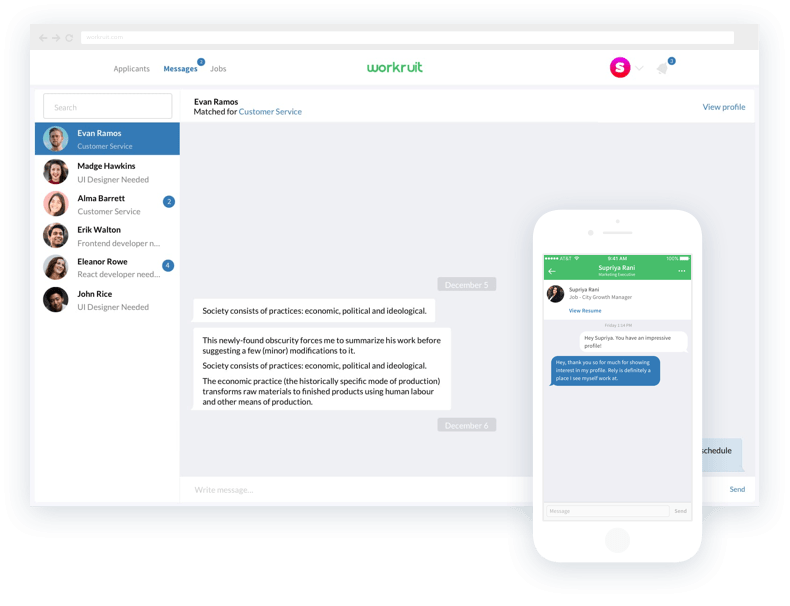 Using AI and ML technologies, Workruit procures relevant applicants who match your demand. Create as many job postings as you want without spending a penny! Swipe Right to the Right Candidates! Hiring the perfect fit for your organisation is now at your fingertips. 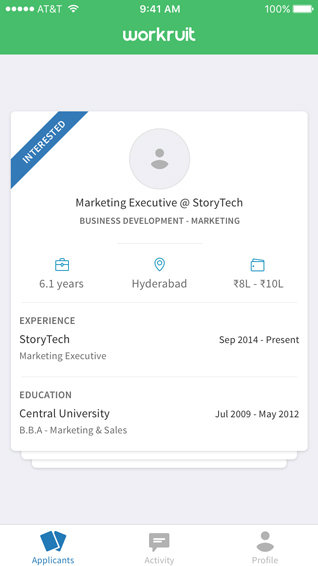 Once you get relevant recommendations, swipe right for the profiles that match your requirement. 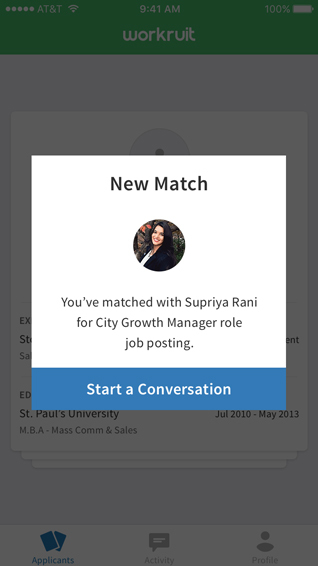 If the applicant also swipes right, an instant match is made and you can chat directly using our in-app messenger. 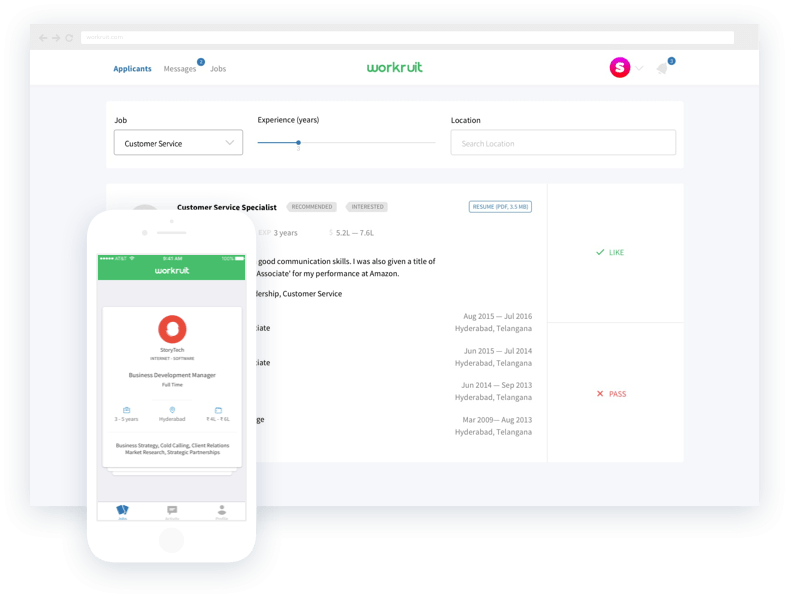 Once you match with the applicants, you can even schedule interviews using Workruit. No drafting of mailers or calling the applicants to confirm. 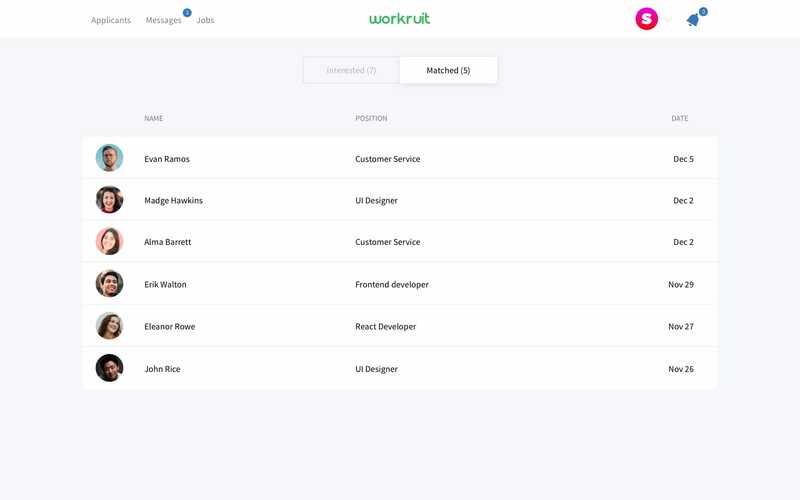 Workruit is an end-to-end platform that offers everything you need to find the perfect fit on one platform.  The applicants can accept or reject the invitation while you concentrate on other important tasks at hand. 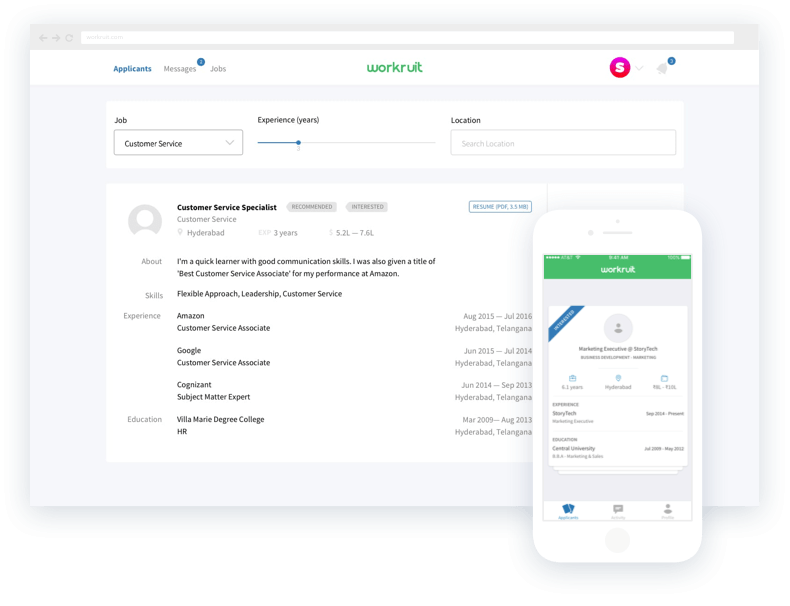 AI auto-screens applicant profiles making recruitment smart and simple. A free platform that connects you to your perfect fit. With AI and ML algorithms, you get only those applicants that match your requirements. Once you match, you can chat with applicants instantly. 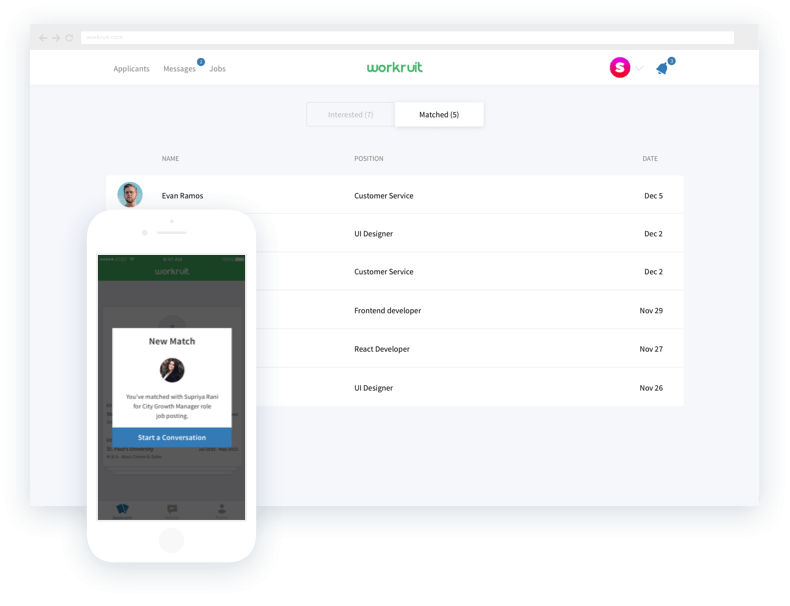 Connect, chat and schedule interviews – everything in one intuitive platform. 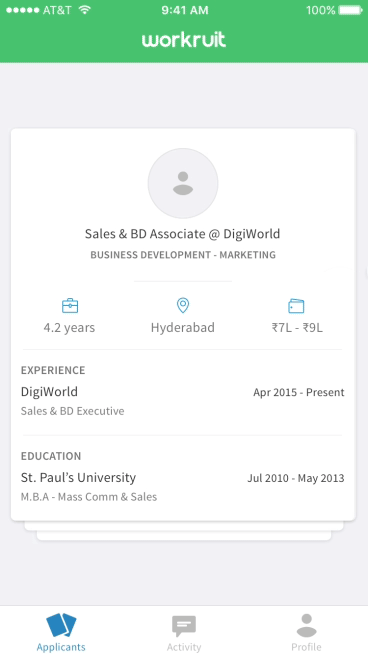 You can post multiple job postings using a single profile. 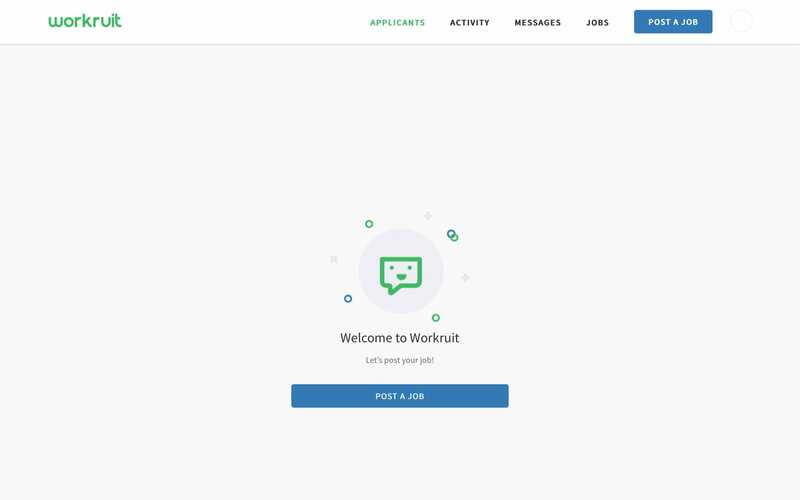 I was truly impressed with Workruit’s recruitment process. The process is different from other platforms and fun too. 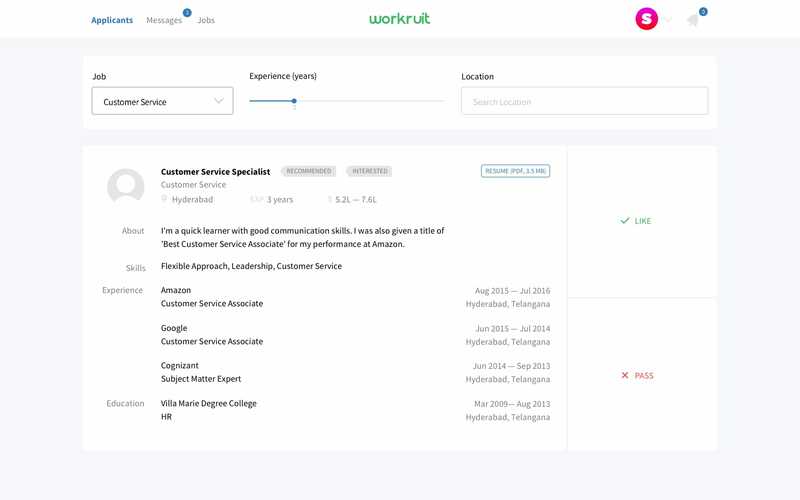 With Workruit, we have been successful in engaging candidates who are otherwise simply not findable for Paytm in Hyderabad location. 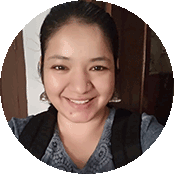 As a lean startup, we are always juggling multiple roles among the 4-member team - and finding the right candidate was definitely one of the most challenging tasks. This app made hiring simple and straightforward. I didn't have to look through many profiles and waste time calling each of them. I would look at 7-8 profiles everyday, and of the first 15 profiles I saw, I got 3 matches, and hired one of them. It was really simple.